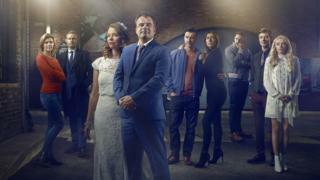 The new boss of Coronation Street has reassured fans he won’t drastically change the soap and doesn’t have a “hit list” of characters to kill off. Iain MacLeod said “only an idiot” would try to “change the DNA of the show”. His first shows in charge will air on ITV in the run-up to Christmas. “It will be, as it has always been on Corrie, an evolution,” he said. The arrival of a new producer on a soap often means major changes to a cast. But MacLeod, who has joined from Emmerdale, said that was not his style. “I haven’t got a hit list,” he said. “I’m not going to be packing loads of people on to a bus that will… ‘Oh, it’s gone off a cliff, what a shame’. MacLeod has taken over from Kate Oates, who faced criticism by some for making the show darker. But he defended her and said she “told some massive, really socially important stories that changed people’s lives”. He also assured viewers he is keen to “achieve balance” between the darker storylines and the comedy.